It’s Cyber Monday and all this week you can get sales on a ton of great tech gifts online. Technology to make life easier is right at our fingertips. We all hear of “Smart” products but what does that mean? 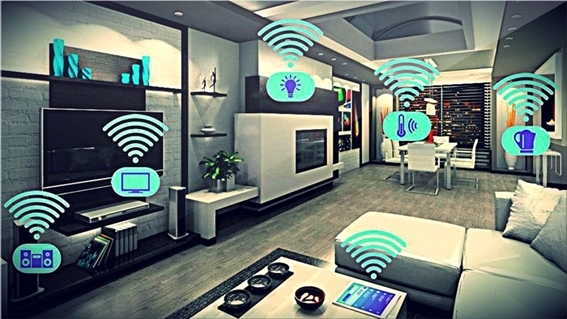 A “Smart” product is part of the Internet of Things (IoT) or products that communicate with your computer or smart phone with a wireless connection to your internet. There are so many products on the market it can get overwhelming. Products like Echo and Google Home smart speakers, smart light bulbs and plugs, weather stations, video doorbells, appliances, garage doors, security systems, kitchen appliances, cooking tools, cleaning tools, sprinklers, and even dog feeders all can be connected to you when you are miles away. Bluetooth speakers with voice assistant products like Echo and Bose which are compatible with Alexa, a voice assistant from Amazon. Google Home or Wink Hub speakers are compatible with Google Assistant voice control. All devices give you the option of voice control and connection to other wireless devices like smart lightbulbs that turn on/off by command, Smart Plugs that turn on/off any item plugged into it like lamps, TV’s, fans/heaters, Christmas lights or a flat-iron left on by your teenage daughter. Other options for both devices are a connection to music services, news reports or internet browsing. You can easily look up a recipe online or check to see if a big storm is coming by just asking the device. Kitchen gadgets and appliances have turned high tech. Refrigerator cameras can let you see the items in your refrigerator. Smart thermometers can be programmed to alert you when your steak is perfectly cooked. Smart slow cookers allow you to turn on/off or modify the temperature from your phone at work. Coffee pots which allow you to set to brew at wake time or sync with your Fitbit fitness tracker to make stronger coffee on nights with less sleep. Smart plates that have built-in cameras to track your portions and automatically input them for you on MyFitnessPal or whatever fitness tracker you use. A scale that measures your ingredients of a recipe picked from a companion virtual recipe book…and so many more items. Do you love a clean house but don’t have the time to put into keeping it clean? Smart cleaning devices can vacuum, mop, dust, clean your windows, clean the air, change the litterbox and even clean and fold your laundry. Smart devices like Tile is a tracker to help you find your keys. Rocketbook lets you write notes and store them with an app on your phone. A weather station you can measure the rain, follow the temperature and lightning detection. If you can think of it, most likely there is a smart option for you, such as smart bike locks, smart locks, moisture sensors, and smart watering systems, propane sensors that tell you when it’s time to refill your tank and even a smart coffee table with a refrigerated drawer programmed by your phone, Bluetooth speakers that can be connected to your TV, LED lights to set the mood, USB charging ports so other devices are always close by. It seems everything has gotten “Smart”! With so many products to choose from you should be able to find something for everyone on your list. With all the connected devices in your home, now is a good time to get more bandwidth. With each new connected device in your home, there is more demand on your internet connection. Upgrade today so you'll have what you need when your family connects all of the devices.